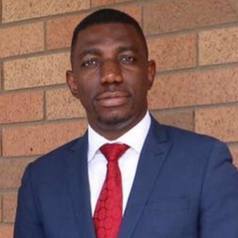 Yvan Yenda Ilunga is a Researcher, Internationalist and Development practitioner. He has worked intensively with Non for Profit organizations in the Democratic Republic of Congo and South Africa. He has done consulting work with micro finances' institutions and small businesses in the area of investment and risk assessment. He is currently enrolled as PhD Candidate in the Division of Global Affairs at Rutgers University.He is also affiliated with the University of North Carolina Greensboro as Visiting Scholar in the Department of Peace and Conflict Studies. Prior to this, Yvan was a visiting scholar in the Division of Global Affairs, visiting scholar at the New Jersey Institute of technology (USA), visiting lecturer at the School of Economics and Political Governance (DRC), and Research assistant at the University of Cape Town (South Africa).